RCSI is one of the four mutually recognised surgical colleges in the UK and Ireland, with more than 3,000 students from 60 countries. This 5-year programme helps students to gain the fundamental knowledge and skills required to deliver the highest quality and safe patient care. This course will also hone you to be expert communicators capable of interacting and empathising effectively with their patients. 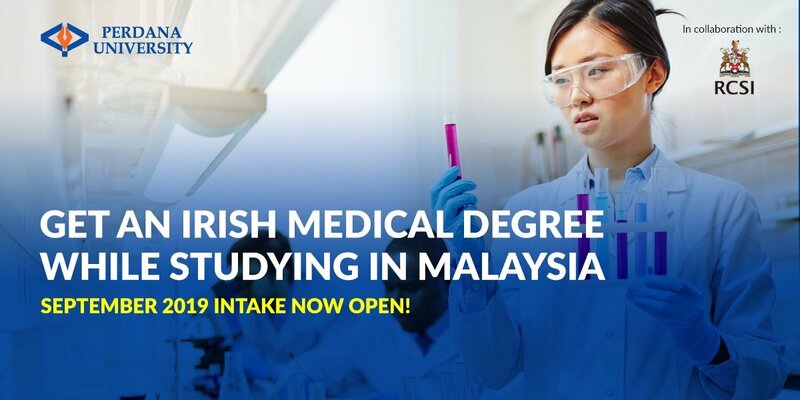 In the Medical Degree Programme (PU-RCSI), we deliver a programme similar to that offered by RCSI in Ireland right here in Malaysia. Graduates will be highly capable of meeting the country’s healthcare needs by learning from passionate lecturers who deliver their best in every class. PU-RCIS combines elements of traditional didactic teaching with problem-based learning in classes, producing a unique, hybrid approach in conducting medical classes. You will constantly participate in skills workshops, tutorials, theatre attendance and ward attendance. You will be awarded with qualifications recognised by the Malaysian and European regulatory authorities such as the degree of Bachelor of Medicine (MB), Bachelor of Surgery (BCh) and Bachelor of the Art of Obstetrics (BAO) as well as the licentiate diploma of the Royal College of Physicians of Ireland and Royal College of Surgeons in Ireland (LRCP&SI). Complete the cost-effective 5-year medical degree programme in Malaysia. Obtain learning experience in major Malaysia Hospitals including Hospital Kuala Lumpur. Awards bachelor of medicine, surgery and art of obstetrics. Be a competent medical professional equipped with knowledge of various arenas of medicine. Save Cost, Save Time, and Become a World-Class Doctor! Focussed Classrooms with Low Student-Lecturer Ratio. We are proud to announce that both Malaysian and International students are eligible to apply for Perdana University Scholarships*. Fill in your details below to learn more. Perdana University-Royal College of Surgeons in Ireland (PU-RCSI) 5+0 Medical Degree – Scholarships RM50,000*. *Only applicable to Malaysian students. Terms & Conditions apply. Royal College of Surgeons in Ireland (RCSI) School of Medicine. Basic biomedical sciences applied to medicine plus clinical competencies. Medicine, Surgery, Pathology, Microbiology, Therapeutics, Clinic Competence. SSC, Elderly Medicine, Musculosketal Medicine, Advance Skills Training.